New South Wales is the most populous region in Australia and the capital, Sydney, is the most populated city. New South Wales is the most famous part of the country and the part that most people think of when they imagine the Australian backpacker scene. The whole area is very diverse, featuring areas of famous Australian bush, snowy capped mountains, lush national parks and subtropical beaches and coastlines, including Sydney’s famous harbour. Go on a Bushwalk into the Jamison Valley. Experience the unique Australian bush with a qualified guide who will make even those with the biggest creepy crawly phobia feel at ease. Visit a vineyard. 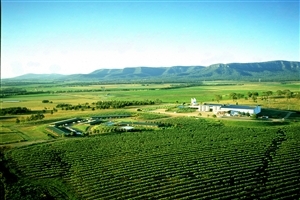 Hunter Valley has the biggest population of vineyards in Australia and is the home to some of the world famous Australian shiraz and chardonnay producers. Contrast all the natural wonders you’ll see by climbing the Sydney Harbour Bridge for a breathtaking view of the Sydney sunset. Visit Bondi Beach. This Sydney beach is one of the most famous in the world, it’s unusual for so many people who’ve never visited a country to name one its beaches. Tour the Sydney Opera House. One of the most famous wonders of modern architecture and usually the first word that comes to mind when you hear “Sydney.” It’d be a crime to not see this amazing sight. Whatever you choose to do with your time in New South Wales and Sydney, book your 2019 or 2020 hotel stay with us today and make sure your accommodation is as memorable as the activities you enjoy while you’re there. 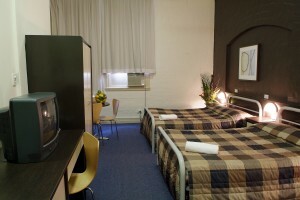 Here is just a selection of our favourite and cheapest hotels in New South Wales & Sydney. Please use our search panel above to find your perfect choice. 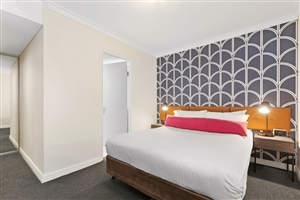 Set within the suburbs of Surry Hills, the wonderful Cambridge Hotel stands at the ready to serve any and all travellers visiting this charming area for work or play. With many of Sydney’s wonderful highlights in short distance from the hotel, guests are welcome to explore their surroundings and discover ... such landmarks as Darlinghurst and the Central Business District. Alternatively, the hotel itself houses several soothing facilities along with an elegant dining venue to satisfy the palate of its guests, while each of the 149 well-designed guestrooms are the ideal settings to begin and end each day in this Australian paradise. 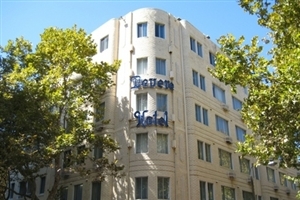 Set in the vibrant Central Business District of Sydney, the DeVere Hotel Sydney rests along with the various stylish cafes and restaurants of Potts Point along with the entertainment outlets leading through Kings Cross. The boutique hotel features plenty of contemporary comforts along with a warm, attentive level of service ... that makes it stand out from other hotels in the area, with its high quality facilities, elegant dining venues and 117 stylishly luxurious rooms and suites, all fully fitted to ensure guest satisfaction for families, couples, singles and business travellers alike. Whether it’s to explore and uncover the wonders of the most populous city in Australia or simply to bask in a comfortable setting, the DeVere is worth the visit. 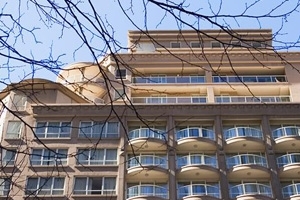 Offering a great service at a great price, The Ultimo Sydney is a wonderful hotel located deep in the heart of Sydney CBD’s Chinatown, close to many of the city’s attractions such as the entertainment district, Darling Harbour and the Aquarium. Consisting of a number of stylish guestrooms, all lavishly ... furnished and fitted with the utmost comfort to ensure guest comfort, the hotel is an idyllic place for family adventurers, romantic couples and business travellers to get to grips with the cultural capital of New South Wales. 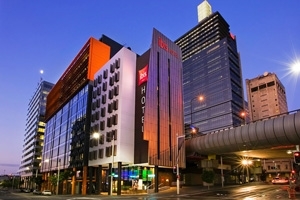 Located in the centre of the bustling city of Sydney, the Ibis Sydney World Square lives up to its brand name by continuing the high standards and modern comforts that comes with any Ibis hotel and lodging, featuring plenty of spacious settings and all the luxuries a guest could possibly ... need. 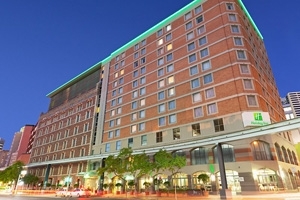 The hotel enjoys a prominent setting near to many of the city’s most renowned entertainment outlets, scenic vantage points and significant landmarks so that travellers can revel in the views and explore the city to their hearts content. Featuring a couple of excellent dining venues and two different room types to choose from, the hotel is an amazing destination choice for those who want to explore New South Wales' cultural capital in style. 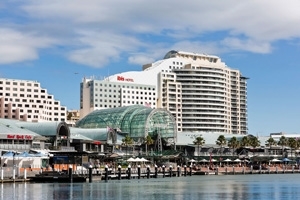 Located directly in the heart of Darling Harbour, the Ibis Sydney Darling Harbour is a renowned holiday destination that revels in its setting amongst the beauty and culture of Darling Harbour, surrounded by numerous entertainment and dining venues as well as gorgeous scenic hotspots that line the harbour. With many ... of the city’s hotspots easily accessed, guests are welcome to immerse themselves in the wonders of Sydney or simply enjoy their comfort and privacy at the hotel, utilising the facilities on offer, tasting the delicious fare at either of the dining venues or starting and ending each day in the style and sophistication of any of the 256 guestrooms at this marvellous establishment. The idyllic setting of one of Sydney’s most beautifully stunning beachside suburbs is where the Adina Apartments Hotel Coogee can be found. A short distance from the natural splendour of Coogee Beach, the hotel embraces peace and serenity in a haven of golden sands and azure waters, bringing a slice ... of paradise to each and every guest. All of the apartments and studios are lavishly furnished and fully fitted to emphasise the surrounding tropics while also providing the best in comfort, privacy and most of all luxury. 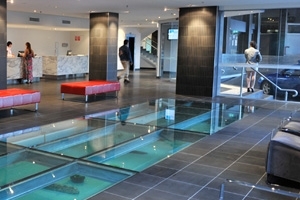 An assortment of facilities are at the guests’ disposal; from the refreshing waters of the swimming pool all the way through to the soothing steams of the sauna, helping travellers to ease into a complete state of bliss while indulging in the wonders of the most populous city in Australia. 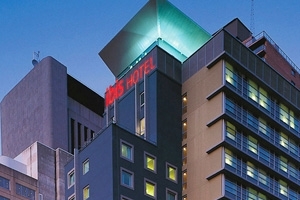 Only minutes from the vibrancy and vistas of the Darling Harbour district in Sydney, the Ibis Sydney King Street Wharf serves as a comfortable and welcoming hotel filled with contemporary luxuries, spacious settings and an attentive level of service. Guests can relax knowing they’re in more than capable hands, with ... plenty of space and privacy in each of the 91 elegantly designed guestrooms to satisfy any and all travellers, while outside of the hotel lays a number of cultural landmarks, dining venues and entertainment outlets waiting to be discovered. 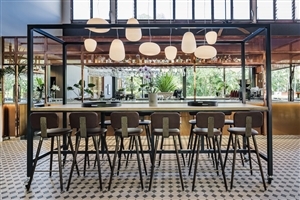 With two distinct eateries to choose from and facilities in and around the hotel to get to grips with, travellers are in for a treat at this Australian haven. Blessedly situated in Paddington’s Oxford Street in Sydney, the Arts Hotel Paddington is a charming holiday getaway that sits in close proximity to the art and fashion precinct of the bustling city, an idyllic area that guests are definitely going to want to explore. The warm and welcoming atmosphere of ... the hotel stems from the ownership by the Sullivan family who strive to bring comfort, space and privacy to each and every traveller. With plenty to do both in and out of the hotel in terms of entertainment outlets, dining venues and scenic hotspots, guests are sure to enjoy their time spent at this amazing Australian holiday location. 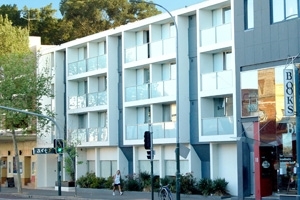 Situated along the southern section of the beautiful Manly Beach, the Sebel Manly Beach Hotel is a magnificent holiday destination that boasts views looking out at the pristine beachfront and offers a wide variety of comforts and luxuries to accompany such stunning vistas. The charming ambiance that permeates the region ... resembles that of a quaint village, with the hotel providing plenty of space and privacy in the form of stylish guestrooms and elegant suites to create an unbeatable setting of serenity to suit any and all travellers, from family adventurers to romantic couples and business travellers. The surrounding area houses plenty of dining venues and shopping outlets to discover, while the hotels own facilities are always at a guest’s disposal to ensure a pleasurable stay in beautiful Australia. Located deep in the bustling heart of Sydney’s chic eastern suburb of Coogee, the Crowne Plaza Coogee Beach is a stylish hotel that basks in a level of peace and serenity expected of such a magnificent beachside surrounding, with the added convenience of being a short distance to the city’s ... vibrant wonders, landmarks and nightlife, so guests who wish to explore and immerse themselves in the lively ambiance of the city lifestyle can enjoy themselves just as much as those simply looking to revel in the calm of the ocean setting. The charming hotel is a popular choice with travellers, for both the distance to significant local amenities and the gorgeous views offered from many of the 209 elegantly furnished guestrooms, all individually designed to ensure comfort for family adventurers, business travellers or couples looking for the ideal retreat. 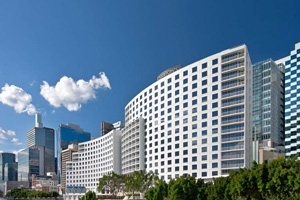 Boasting an amazing location in the heart of the city, the Hilton Sydney is a superb holiday destination that features some of the most spacious rooms, stunning views and comfortable furnishings of any hotel in the bustling capital. With such a convenient setting, the hotel provides guests easy access to ... several city highlights, such as Bondi Beach, Sydney Harbour and the accompanying Sydney Harbour Bridge, all excellent hotspots for explorers to discover. 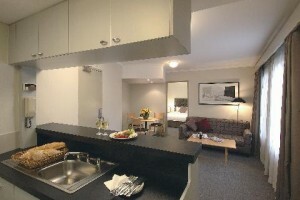 With a variety of several guestrooms and suites to choose from, each elegantly decorated with their own characteristics, comfort is a guarantee, and with plenty of dining venues and high quality in-house facilities to keep travellers entertained, this hotel sets the tone for what is sure to be an unforgettable Australian vacation. Enjoy the many wonders of Sydney from the very heart of the city with the BreakFree on George, a modern hotel whose numerous comforts and stylish settings are the perfect introduction to the cultural hub of Sydney. With plenty to do in and around the hotel, guests will be spoilt ... for choice on discovering the highlights of the surroundings or simply easing back into the soothing ambiance of the hotel, where privacy and relaxation go hand in hand. Featuring a delicious dining venue and several luxury accommodations to choose from, each intricately designed to suit any and all guests, the hotel welcomes you to Sydney with open arms. 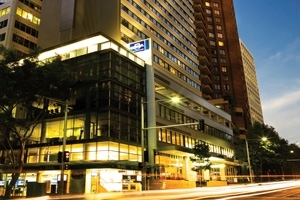 The luxurious Rydges Sydney Central welcomes families, couples and business travellers to unwind and revel in the style and comforts spread throughout the hotel, with an attentive level of service and modern amenities on hand to ensure traveller satisfaction from beginning to end. 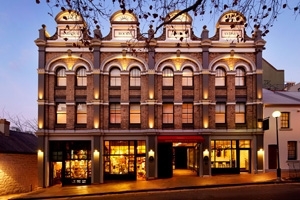 Situated among the wonders of Surry Hills, ... the hotel is privy to the numerous hotspots and highlights of Sydney, from the visuals of Darling Harbour, the culture of Chinatown and the fun of Star City Casino, all encouraging guests to explore their surroundings, while the hotel itself houses a number of facilities to choose from for all to enjoy. With two exquisite dining venues to experience and 271 beautifully fitted guestrooms and suites available, all designed to serve as idyllic havens filled with plush furnishings and modern decor, guests are sure to have the time of their lives at this amazing holiday destination. 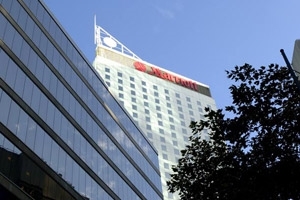 Located deep in the popular entertainment district of Sydney, the Holiday Inn Darling Harbour is a modern hotel filled with comfort and style, just waiting to welcome any and all travellers to immerse themselves in the culture and beauty of the cosmopolitan Darling Harbour. Presenting easy access to several city ... hotspots and landmark hubs, the hotel encourages guests to explore and uncover such highlights as cultural Chinatown, the lively Latin Quarter and scenic Cockle Bay Wharf, while the hotel itself houses several facilities and many luxuries for travellers looking to simply relax and unwind in a soothing setting. With two dining venues to choose from, plenty of spacious areas and a number of guestrooms and suites that all serve as personal havens, the hotel is perfect for short visits or in-depth adventures into New South Wales' capital of culture. 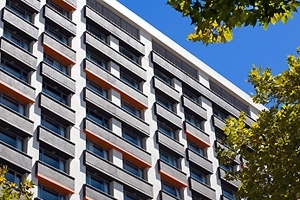 Situated in close proximity to many of Sydney’s hotspots and highlights, the Travelodge Wynyard is a modern hotel filled with comfort and style that aims to ensure travellers experience the best time possible while indulging in the wonders of Australia. A perfect setting to indulge in the city both day ... and night, the hotel is an ideal hub where guests can spend their days exploring the city or simply relaxing and utilising the in-house facilities on offer along with spacious areas and a dining venue throughout the establishment for any and all travellers to make use of. With 277 elegantly designed guestrooms and suites peppered throughout the hotel, all of which are intricately styled for maximum comfort, the hotel is the ideal location for guests wanting that little something extra on their holiday. Sporting the title of Australia’s single largest hotel, the Four Points by Sheraton proudly boasts a world of comfort deep in the heart of Sydney’s main business district, overlooking views of the fantastic Darling Harbour and a short distance from such city highlights as the vibrant Pitt Street Mall, the ... distinctive Queen Victoria Building and the cultural Chinatown, a veritable explorers paradise. Fully furnished with style and charm, the hotel strives to bring the very best to each and every one of its guest who are welcome to uncover the city’s highlights or simply wish to kick back, relax and enjoy the numerous facilities, each of the exquisite dining venues and the gorgeous views of the city from any of the 648 rooms and suites that serve as the perfect starting point to a memorable Aussie vacation. Marvel at the magnificent sights and sounds of one of the most prominent areas of Sydney at the Novotel Sydney on Darling Harbour. 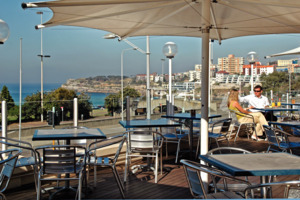 Boasting amazing views of the gorgeous harbour and all the wonder around it, the hotel provides easy access to plenty of Sydney’s most significant highlights, dining venues ... and entertainment outlets for the avid explorer. The hotel is a stylish hub filled of modern comforts and a luxurious atmosphere that is perfect for those looking to relax in style and utilise the soothing in-house amenities. Sporting a total of 525 guestrooms and suites, each intricately designed to accommodate families, couples and business travellers alike, the hotel strives to ensure a memorable vacation for all looking to indulge in the splendour of Australia. Combining old world charm with modern age sophistication, the Holiday Inn Old Sydney is a culmination of luxuries and comforts bridged by generations. Situated deep in the historical district known as The Rocks, the hotel grants easy access to plenty of dining venues, antique landmarks and the beautiful Sydney Harbour, ... a magnificent highlight of the city and location of the legendary Sydney Opera House. 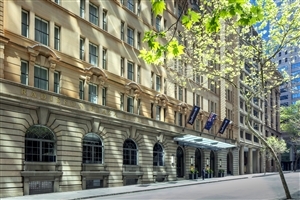 Guests are welcome to spend their time exploring the cultural city of Sydney, discovering its intricacies day by day, and retreat to the warmth and attentive service of the hotel in the evening, where numerous facilities, an elegant eatery and several guestrooms and suites await to welcome travellers into a world of luxury for all to enjoy. Located in the heart of The Rocks, one of Sydney’s centrally located precincts, the Rendezvous Hotel Sydney The Rocks sits as a comfortable hub immersed in the culture and liveliness of one of Australia’s most renowned cities. 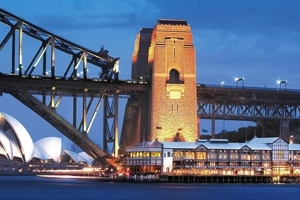 With the Sydney Quay and the Opera House in close proximity, along with ... many entertainment outlets and the central business district, guests can opt to see the sites and explore their surroundings or simply relax in the lap of luxury in the hotel where modern technology and wonders combine with elegant decor to create a setting of pure pleasure that any travellers are sure to enjoy. With an in-house breakfast venue and several facilities on hand there is something for everyone at this holiday escape, where spacious accommodation serve as the perfect haven to begin and end each day in Australian paradise. 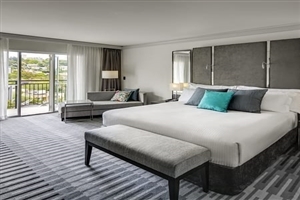 Set in the heart of the bustling city of Sydney, the magnificent Sofitel Wentworth Sydney is a hotel that is best known for its warm, receptive nature and many luxurious qualities that make it a memorable holiday destination of the highest calibre. 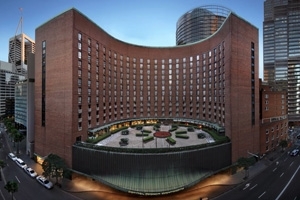 The modern designs and architectural facets of the ... hotel are some of the most defining features noticeable throughout the stylish hub, while the convenience of being situated amongst the shopping outlets and main business district of the city offers some great exploration opportunities for those who wish to immerse themselves in the business and leisure of the city. The hotel itself houses a number of facilities for guests to while away their time, some delectable dining venues and 436 lavishly decorated guestrooms and suites, all of which are specifically designed to suite any and all travellers during their time spent in Australia. Situated among the landmarks of Sydney’s Central Business District, the Radisson Blu Sydney is a hotel of pure luxurious splendour that presents easy access to a number of city highlights, such as the Sydney Opera House and Harbour Bridge. Set within a building that dates back to the 1850s, the ... hotel fuses traditional grandeur and age-old charm with modern day comforts and facilities, granting the hotel an elegant, picturesque quality unmatched by other hotels. Guests can explore the city, relax the soul with any of the facilities on hand and feast on the gourmet dishes from either of the spectacular dining venues, retreating to the comfortable confines of one of the 362 lavish guestrooms and suites, whose stylish decor and comfortable furnishings are sure to set the tone for a most memorable adventure in the most populous city in Australia. Set deep in the heart of the vibrant city of Sydney, the Mantra 2 Bond Street is a modern, welcoming hotel that among its many perks grants convenient access to many of the city’s wonders such as the Sydney Harbour, the Darling Harbour and the world renowned Sydney Opera House. 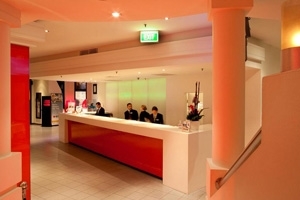 ... Travellers looking to indulge in the splendid sights and sounds of Australia’s capital city in style are in for a treat, the hotel caters to any and all guest types, providing an attentive level of service to accompany the spacious setting and lavishly decorated establishment whose facilities and dining venue are definitely worth utilising. Whether it’s exploring or simply relaxing, Mantra 2 Bond Street is an idyllic haven where comfort comes first, and with 179 fully fitted suites and apartments to choose from, that comfort is all but guaranteed. The amazing Harbour Rocks Hotel is a luxurious holiday destination that brings the best style, comfort and service Australia’s bustling capital has to offer to create a setting that is sure to impress any and all travellers. 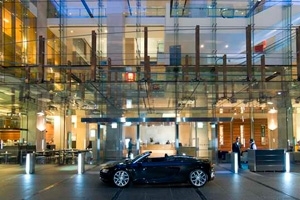 Situated deep in ‘The Rocks’ area of the city, the hotel provides easy ... access to many of the city’s wondrous highlights, such as the Sydney Harbour Bridge and world renowned Sydney Opera House, while the hotel itself offers a variety of facilities and dining venues to choose from that are sure to satisfy even the most discerning of guests. With a total of 59 lavishly decorated guestrooms and suites available throughout the hotel, travellers looking to balance peace and quiet with their lively city stay are in for a treat at this location. Sporting amazing views of the serene Sydney Harbour and its many wonders, the InterContinental Sydney sits deep in the heart of one of Australia's vibrant capital cities, an idyllic location for those looking to get the most out of their Sydney holiday. Elegantly decorated and featuring plenty of facilities to ... entertain and soothe, the hotel sets the tone for what is sure to be an unforgettable experience, granting its guests easy access to any and all highlights around the harbour as well as the dining venues and entertainment outlets throughout The Rocks district. Striving to bring a world of comfort, attentive service and beauty to business travellers and leisure adventurers alike, the hotel is simply put, an iconic hotel unto itself with its many exquisite in-house restaurants and each of the 509 guestrooms and suites that provide a peaceful haven away from the hustle and bustle of the surrounding city. 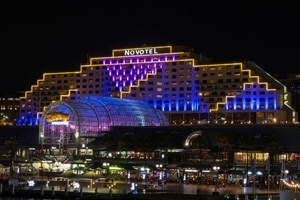 Overlooking the gorgeous Sydney Harbour and all its wondrous charm, the Sydney Harbour Marriott stands proud amongst its neighbouring highlights as a spectacular holiday destination where travellers can ease into a world of comfort, luxury and style in the heart of New South Wales' bustling capital city. Guests are welcome ... to spend their days exploring, uncovering the many sights and sounds that are peppered throughout the vibrant streets and visiting the highlights of New South Wales' capital, while the evening can be spent among the warmth of the hotel, where an attentive level of service combines with spacious, elegantly decorated settings to create a world of bliss. Numerous facilities, exquisite dining venues and a myriad of guestrooms and suites await those wishing to see Australia with some finesse. Set alongside the renowned Sydney Harbour Pier, the Sebel Pier One is a boutique hotel that revels in its prime location, offering guests the best, unobstructed views of the marvellous harbour, being built in and over the water itself. 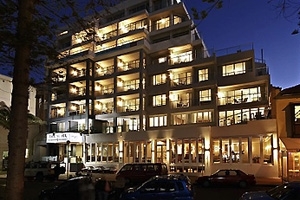 Combining modern comforts with traditional designs, the hotel takes on a ... slightly nautical theme to coincide with its prime positioning, tempting guests to explore and get an even closer look at the numerous highlights around the bustling city, not just of the harbour, but all throughout the prominent sector known as The Rocks which holds y dining venues and entertainment outlets certainly worth discovering. Housing a splendid dining venue of its own along with several lavishly fitted guestrooms and suites, the hotel brings the best comforts New South Wales' capital has to offer with views that are sure to create memories that will last a lifetime. Sat amidst the numerous highlights located throughout the bustling streets of The Rocks, the Shangri-La Hotel Sydney awaits to greet each and every traveller to revel in the modern comforts and luxurious settings of this heavenly hotspot that sets the tone for a perfect holiday in the heart of New ... South Wales' cultural capital. Guests can spend their days discovering the highlights throughout the surrounding area, with the Sydney Harbour and the Sydney Opera House serving as main attractions while the numerous dining venues and entertainment outlets across The Rocks ensure there is something for everyone to discover. 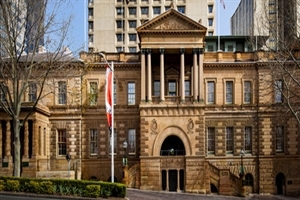 The hotel is elegantly decorated to emphasise the opulence and exclusivity of such a high standard establishment, sporting 565 spacious guestrooms and suites, several exquisite dining venues to choose from and a whole host of facilities on hand which are sure to impress even the most discerning of travellers, making this one of the best hotels Sydney is proud to offer. 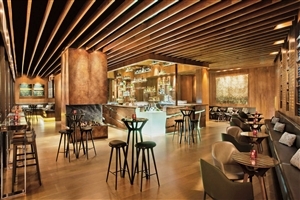 The unmistakable Four Seasons Hotel Sydney is a sublime holiday destination of sheer opulence that despite the grandeur of the establishment still manages to retain a level of charm that ten to escape larger hotels. 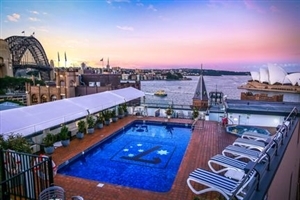 Situated in an idyllic setting in the heart of the city’s central business district and ... overlooking the stunning Sydney Harbour, the hotel provides a comfortable hub in the thick of the vibrancy of the city, presenting guests the opportunity to explore without having to go too far to see the various city highlights. The hotel is decorated beautifully and sports plenty of space and privacy for those who wish to simply relax in-house and utilise the many facilities and dining venues belonging to the hotel. With a total of 531 guestrooms and suites, each beautifully designed to emulate a private paradise, guests are sure to never want to leave this amazing hotel where style is only surpassed by service. 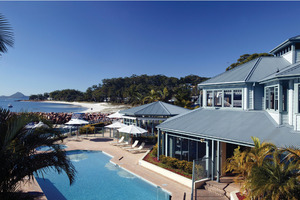 The charming, picturesque region of Port Stephens is yours to discover while also enjoying all the comfort and style of the Anchorage Port Stephens, a spacious resort that allows guests to revel in the beauty and splendour of the beachside setting from the lavish luxuries and privacy of this wondrous ... haven. Embraced by views of soft sands, azure waters and lush forestry, the resort sits as a veritable tropical paradise that combines these natural marvels with modern day perks, such as pleasant decor, plush furnishings and quality amenities to ensure guests of all ages receive the best holiday experience possible. Travellers can explore the marina and uncover the activities that await them there, or simply sit back and bask beneath the Australian sun, utilising the in-house facilities as they see fit. With 80 rooms and suites to choose from and several dining venues that produce sumptuous tastes of exotic fare, travellers will find this holiday destination the perfect paradise to visit. 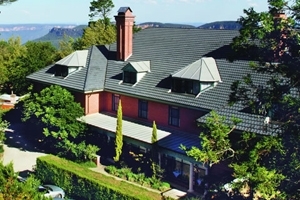 The well-established Best Western Alpine Inn is a premier destination in the Blue Mountains region near Katoomba. A comfortable and modern motel, the vicinity is perfect for those who want to really get to grips with the landscape of some of Australia’s most scenic venues, with the Blue Mountains World ... Heritage National Park a short distance away along with the “Three Sisters”, Echo Point, Jenolan Caves and the Jamison Valley, all of which make for idyllic discoveries on what is bound to be a memorable holiday experience. 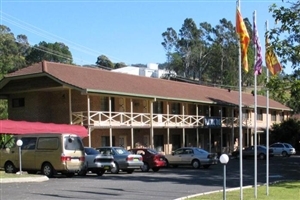 With a number of elegantly designed guestrooms to choose from and an on-site eatery to revel in, the Blue Mountains have never been so readily accessible and luxurious than with this fantastic motel. 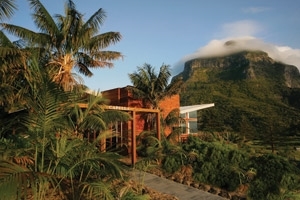 Showcasing gorgeous views of the ocean and twin-peaked Mountains of Gower and Lidgbird, the Capella Lodge Lord Howe enjoys its exclusive setting above the secret beach of Lover’s Bay on Lord Howe Island, a secluded paradise where verdant greenery, soft sands and azure, lapping waters welcome and embrace travellers from ... all over. The astounding views that overlook the region set the tone for an unforgettable experience, and when coupled with the hotel’s numerous features and wooden decor it creates an unfettered ambiance of tropical bliss for any and all guests. With soothing facilities, a splendid dining venue and 9 lavishly furnished suites, all intricately designed for maximum comfort and total luxury from beginning to end, the hotel serves as the perfect setting for travellers looking to lose themselves in the sheer splendour of Australia. The Chateau Elan is a luxurious holiday destination nestled amidst the beauty and splendour found deep in the heart of the Hunter Valley. Adorned in various tones of elegance and style, the hotel prides itself on its innovative designs and attention to detail, ensuring a pleasant stay is guaranteed for ... any and all travellers. 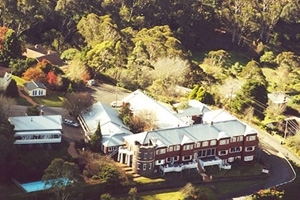 The hotel is located just two hours north of Sydney and grants plenty of access to the vantage points and hotspots of the surrounding area for those who like to explore, or alternatively, for those who like to relax, the hotel itself offers many soothing and entertaining facility opportunities so guests don’t need to stray far for a good time. With 100 lavishly furnished suites and villas to choose from, each providing immeasurable amounts of space and privacy, guests are in for a treat while immersing in the wonder of Australia’s own Hunter Valley. The Country Comfort Coffs Harbour is a comfortable hotel located in the picturesque coastal town of Coffs Harbour, an area rife with tropical rainforests, pristine beaches and an iconic Big Banana that makes the area as unique as it truly is. The hotel offers luxury and modern style throughout, an ... ideal place for family adventurers, thrill-seeking singles and intimate couples to find refuge as they bask beneath the Australian sun. 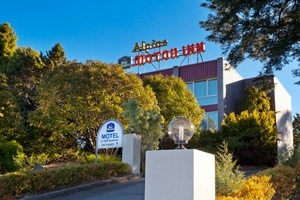 The surrounding area presents a number of activities for all to enjoy, while the hotel itself houses a total of 52 elegantly furnished guestrooms and apartments to choose from to suit both business and leisure travellers alike as they indulge in the warm, welcoming ambiance of this Australian haven. 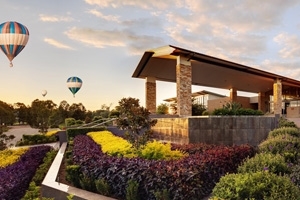 Surrounded on all sides by scenic vistas of the verdant vineyards and landscaped golf courses that make up the famous Hunter Valley, the Crowne Plaza Hunter Valley is a dedicated hotel that strives to ensure guest comfort day and night, matching the gorgeous scenery with an attentive level of service. ... Filled to the brim with amenities, the hotel is ideal for any and all travellers looking to get to grips with the wonders of the area as well as have a fun-filled or relaxing holiday both in and out of the hotel. With a variety of dining venues to choose from and 316 well-appointed guestrooms, suites and villas that all serve as private havens fitted with style and luxuries, travellers are sure to have a memorable time in Australia’s cultural wine region. 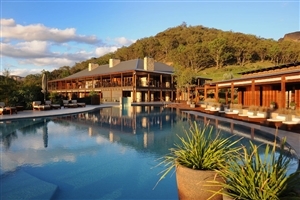 Situated along Australia’s Great Dividing Range and looking out towards the Greater Blue Mountains, the Emirates Wolgan Valley Resort & Spa provides a wondrous haven away from the hustle and bustle of city life, a pleasant paradise where serene views combine with a warm level of service and spacious settings ... to ensure guest comfort. The luxurious resort presents travellers with the opportunity to ease back into a state of bliss while getting closer in touch with nature and the local flora and fauna, all of which are easily accessible on tours, treks and safari adventures that take place around the area. Sporting a total of 40 individual suites, each of which serves as a personal sanctuary for romantic couples, family vacationers or business travellers to enjoy, and with a number of dining venues that bring exquisite Australian flavours to everyone’s palates, this resort is an idyllic utopia, one guests are sure to never forget. Just 2 hours drive north of Sydney are the verdant wine vineyards of the majestic Hunter Valley Wine Country. 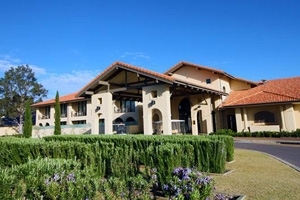 The Hunter Valley Resort is a comfortable, welcoming holiday destination that encourages family adventurers, romantic couples and business travellers alike to indulge in the splendour and warm traditions of the surrounding ... area. Lots to do onsite, including segway and horseriding tours, or take one of the electric bikes for a spin. Sample some of the 30 wines at the Cellar Door and with such a variety of guestrooms and cottage types, each of the 35 well-fitted havens are the perfect places to ease back into a relaxing holiday mood that is sure to be unforgettable for everyone. 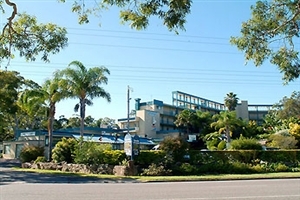 The warm and welcoming Ibis Styles Port Stephens Salamander Shores is a comfortable, modern hotel located along Soldiers Point Road, a lengthy distance from the hustle and bustle of the city of Sydney, Australia. The hotel is nestled among three acres of landscaped gardens where guests can relax and spend ... their time as they see fit, with the hotel offering a number of facilities and an exquisite dining venue, as well as the local area housing a wide range of activities for all the family to enjoy. The hotel houses 76 fully furnished, stylish guestrooms to choose from, all elegantly designed and fitted with all the amenities a guest could need during their stay in Australia. Set amidst the beauty of the Blue Mountains National Park, the Lilianfels Blue Mountain Resort & Spa offers a world of comfort that when combined with the awe-inspiring views of the surrounding splendour creates a setting of tranquillity unmatched by most locations. 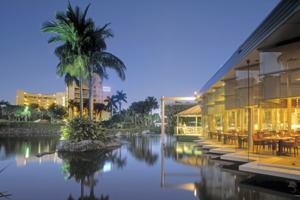 The stylish resort is adorned in elegance and ... displays an array of modern luxuries to ensure a comfortable time for each and every one of its guests, featuring a wide range of soothing facilities to help ease travellers back into a state of bliss and a number of dining venues aimed at satisfying even the most discernible of palates. 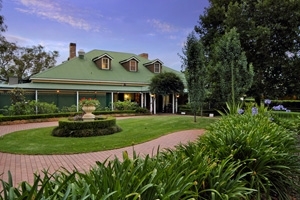 With the wonders of the Jamison Valley practically at its doorstep, the resort urges travellers to explore and uncover the local area, providing a total of 85 rooms and suites, filled to the brim with plush furnishings for guests to retreat to after every memorable day in the Australian Blue Mountains. Situated deep in the heart of Byron Bay, the Lord Byron Resort is a modern getaway that provides guests with an abundance of comfort, style and quality during their stay in Australia. The enviable location of the resort means that guests can sit back and enjoy the peace and calm ... of the tropical setting, with some of the most renowned beaches along the East Coast a casual stroll away along with numerous dining venues and plenty of entertainment outlets and shops throughout the area. The resort houses its own relaxing facilities for guests to delight in, with several motel rooms and apartments serving as the ideal, lavish setting for any and all travellers to begin and end each day of their Australian adventure. Settled among the wonders of the Potts Point and Kings Cross entertainment precinct of Sydney, the Mercure Sydney Potts Point is an idyllic hotel that caters for travellers who want to immerse themselves in the hustle and bustle of the city whilst also enjoying a world of comfort, style and ... service. With a variety of facilities to choose from both in and out of the hotel, exquisite dining venues and 227 beautifully designed guestrooms and suites to accommodate even the most discerning guest, this hotel is the perfect setting for the start of a wonderful vacation. Located along the Charlesworth Bay beachside, the Novotel Pacific Bay Resort is an idyllic haven in an area between Sydney and Brisbane known as Coffs Harbour, a picturesque area filled with natural splendour and numerous hotspots for travellers to see. Guests can really get to grips with the myriad of ... facilities on offer at the hotel, ranging from soothing spa treatments to fun-filled activities that guests of all ages can enjoy. The hotel is elegantly decorated with modern tones to ensure comfort and luxury throughout, with each of the 130 guestrooms and suites serving as the perfect setting to start and end each day among the wonders of Australia. 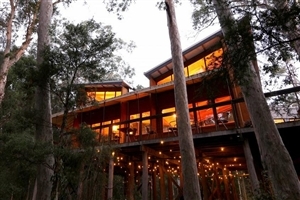 Nestled among the shrubbery and wildlife of the verdant Shoalhaven region of Australia, the Paperbark Camp is a comfortable camp embraced by the enriched Australian bush lands and all its natural treasures, presenting guests with an area of peace and serenity that they can explore and immerse themselves in, far ... removed from the hustle and bustle of urban locations. The camp strives towards bringing safe, nature based tourism along with an environmentally friendly atmosphere to any and all travellers, ensuring a large helping of luxury to accompany the experience in the form of an elegant dining venue and 12 canvas style safari tents, each intricately fitted with lavish furnishings and a number of amenities, situated beneath the surrounding wilderness and offering views of the lush landscape that will stay with guests forever. Languishing among the beauty and charm of Hunter Valley, the Peppers Guest House is a renowned holiday escape where guests can unwind and revel in the culture, traditions and tastes of the vineyard region of New South Wales. Located conveniently two hours north of Sydney, the hotel blends contemporary luxuries ... with the natural splendour of the wine valleys, presenting gourmet flavours with astounding levels of space, privacy and comfort. The hotel houses a number of soothing and entertaining facilities for all to enjoy, while the dining venues are ideal for getting to grips with the full flavours of this elegant setting. With 48 fully furnished guestrooms, suites and cottages to choose from, family adventurers, business travellers, couples and wine connoisseurs alike are sure to be impressed with this boutique guest house. 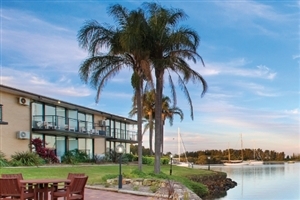 Located in the central business district of the charming town of Port Macquarie between both Brisbane and Sydney, the Rydges Port Macquarie is a modern, elegant escape that offers travellers plenty to do as they immerse themselves in the splendour of Australia. Long stretches of pristine beaches backed by verdant ... rainforests set the tone for an unforgettable holiday, while the numerous dining venues, entertainment outlets and cultural hotspots peppered across the town wait to be discovered by business and leisure travellers alike. The stunning hotel itself houses plenty of soothing facilities to help guests ease back into comfort, while each of the 119 apartments and guestrooms serve as idyllic havens that provide peace and privacy to those looking to indulge in the wonders of Down Under. 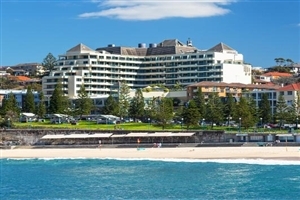 The Swiss-Grand Resort & Spa overlooks Bondi Beach, Australia’s most famous stretch of sand and surf. Bondi represents the laid-back, fun-loving Aussie way of life and draws tens of thousands of visitors to its shores. With central Sydney just 20 minutes’ drive away, you’ll be close to all the city’s ... attractions, yet in a beach setting alive with fantastic restaurants and nightlife. 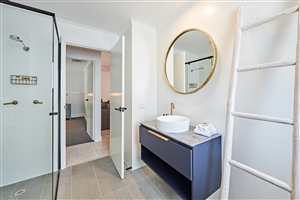 The stylish Byron at Byron Resort & Spa is a luxurious holiday destination that takes inspiration from its very surroundings, enhancing the sense of peace and serenity that permeates throughout the beautiful region of Byron Bay. Elegantly adorned with plush furnishings, modern amenities and stylish decor throughout, the resort strives ... to create a sanctuary of bliss for family vacationers, business travellers and romantic couples alike, providing a number of high quality facilities, an exquisite dining venue and 92 suites spread out across 45 acres of pristine land for guests to enjoy. Whether it’s exploring the local hotspots and uncovering the boardwalks, beaches and tourist trails or simply enjoying some private time and enjoying the breathtaking views, this resort is a sure fire way of creating memorable experiences amidst the splendour of Australia. 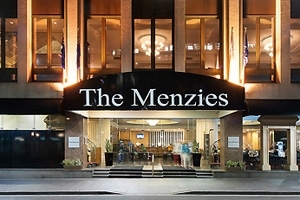 A warm stay is in store for those that stay at the Menzies Sydney, a fantastic hotel where hospitality comes first to ensure family adventurers, romantic couples and business travellers all experience the best possible time while staying in Sydney. Located a short distance to various city highlights such as ... the Sydney Opera House, Darling Harbour and Sydney Harbour Bridge, the hotel presents a wonderful opportunity for guests to explore the culturally rich city to their hearts content without having to go too far, while in-house, there are a range of facilities on offer to both soothe and entertain along with a variety of dining venues so travellers will be spoilt for choice on what to do next. With 446 spacious accommodations awaiting guests, all lavishly fitted and granting a world of space and privacy, those seeking something special on their Australian visit need look no further than The Menzies Sydney. Boasting some of the most glorious panoramic views from a unique position high above Katoomba, The Mountain Heritage Hotel & Spa Retreat sits as a fantastically luxurious holiday escape that looks out over verdant valleys, sheer cliff faces and dense forestry, all of which make a colourful display of natural ... hues. The hotel encourages guests to not only see the scenery but to get up close and discover it in person, with many of the areas vantage points easily reached from the commanding position. Travellers are more than welcome to relax and simply enjoy the various facilities on offer, from the exquisite dining venue to the soothing spa treatments on offer, all set to spacious rooms and modern decor that sets the tone for a comfortable stay. Each of the 41 guestrooms and suites are fully fitted with lavish furnishings and each has their own characteristics and perks to ensure an amazing time for each traveller looking to embrace the splendour of Australia.